Funko has announced a wave of Game of Thrones themed New York Comic Con 2018 Exclusive Pop! vinyl figures! 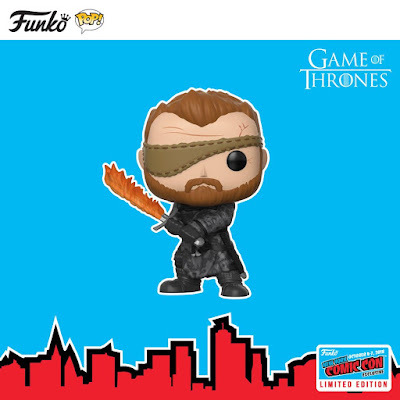 Winter might not be here yet, but it definitely will be next week at NYCC when these Game of Thrones Pop! figures hit the market. 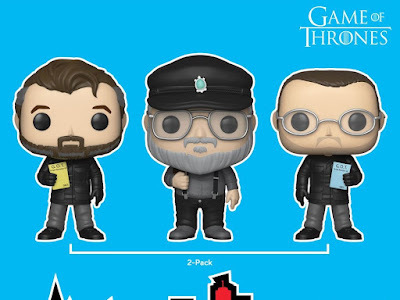 Check out this exciting Game of Thrones exclusives: Berric Dondarrion Pop! with Flame Sword and a Game of Thrones Show Creators Pop! 3 Pack featuring George R.R. Martin, David Benioff and D.B. Weiss.